As the nation celebrates Women’s History Month, it is only natural to look locally to our own leaders, and see many examples of leadership and integrity. One such woman who exemplifies fairness and respect is Judge Wilhelmina Wright of the Federal District of Minnesota. 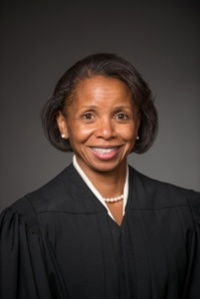 For those who aren’t familiar with this incredible woman, Judge Wright started her judicial career as a Ramsey County District Court Judge, appointed by Governor Jesse Ventura. Two years later, she was elevated to the Minnesota Court of Appeals, and then in 2012, was selected to become a Minnesota Supreme Court Justice. Four years later when she was nominated to the federal bench, her appointment was remarkable for several reasons: She was the state’s first African-American justice, and she was the only jurist in state history to have served as a state district court judge, appellate court judge and state Supreme Court Justice. And in a time when judicial confirmations are long and messy, her process was very short. From the time she was nominated by President Obama to the final vote in the Senate, it only took 171 days. In light of the number of highly qualified women lawyers and lawyers of color who are learned in the law and have the ethical and moral fitness to serve as a judge, I believe it would undermine the public’s trust and confidence in the judiciary if there were no judges who are women or judges of color. We are proud that this learned and honorable judge got her start in Ramsey County.